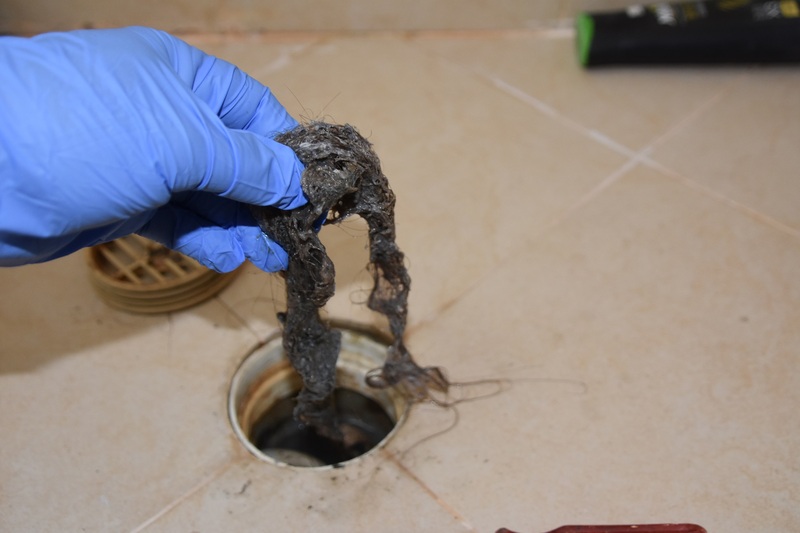 Whenever there’s a problem in your toilet that requires you to call a plumber (which is most of the time) it is probably a malfunctioning or broken fixture. If you are lucky, the problem is simply some grime and slime that needs to be cleared up or part fixtures needing to be realigned. However, if that’s not the case and a fixture is broken in your toilet, the plumber will recommend that you either repair or replace that fixture. It is of utmost importance that you heed the plumber’s advice, though it may be expensive, to prevent a leaking or clogged toilet. So how do you decide if you should repair or replace your fixtures? Consulting your plumber is usually the first step. Any professional plumber should be able to provide you with a well informed suggestion, but it is always helpful to have some basic knowledge on this topic. Here are some factors to consider when trying to decide whether to repair or completely replace your fault toilet fixture(s). More often than not, the fixtures in our bathrooms stop working for the most minor of reasons. Even a small leak can stop your toilet from working properly, but that does not mean you need a new toilet! Sometimes, when a fixture of your toilet stops working properly, it’s better to take a deep breath and assess the damage before jumping to conclusions. It’s always better to call Tim Dean Plumbing & Heating at 610-942-3865 to inspect the damages and give an estimate of the repairing cost before thinking of buying another fixture to replace the old one. Problems with the water pressure may also cause a certain fixture to lose its functionality, so before you get ready to go on a shopping spree, it may be a good idea to get the fixture checked out. Shower heads are the most common example of this. More often than not people replace their shower heads only to find that the new shower head does not fix the problem because the issue is really in the inconsistency of the water pressure rather than the shower head itself. Age of the component is always an important factor in plumbing. You need to know a component’s life expectancy and compare its age accordingly. For example, if your water heater is broken and it’s around 8 years old, it’s already past its prime and we’ll probably recommend to install a new one. If you have a supply pipe of brass, copper or galvanized steel, they have an expected age of 80+ years so, unless your plumbing is that old, it doesn’t necessarily need to be replaced. Faucets and showerheads have various durability depending on their quality, so we’re a good resource to determine their life expectancies. It’s beneficial to know that the cost of repair is not always less than the cost of replacement. While there might be various types of repairing options available, keep in mind that repairing is not always a one-time thing. Many components, once broken, are never the same again. This can result in frequent repairs the same component over and over again. If that is the case, replacement is most likely a better option as it would actually cost less in the long run. But if your problem is a one time occurrence that is unlikely to happen again soon, spending the money might not be necessary on a replacement. Beware of extra costs that might come with any repair or replacement and keep in mind that sometimes new components are incompatible with old ones, mean you may need to replace some perfectly working parts as well. New components do not come cheap in most cases. For obvious reasons, getting a new component for your toilet is typically more expensive than repairing an old one. Carefully consider which toilets would be most beneficial to replace in the long run (i.e. replacing your main toilet would be more beneficial than replacing a second guestroom toilet if you can only afford to replace one). There are different qualities of components in the market with proportionately varying prices. If you are still hesitant, you might even consider searching the price of the fixture on the internet and making a call to your plumber to know how much it will take to get it fixed. If you choose this route, be sure to search about the lifetime of the fixture in its retail condition and get an estimate from your plumber of how long the fixture might last. Once you know this information you can weigh the pros and cons of which is the cheaper alternative. It is important to remember though that cheaper does not always mean best; if you buy cheap components, you may end up spending more in the long run for more frequent replacements and/or visits from your plumber than had you purchased a more expensive, but better, product. A broken component can sometimes be a blessing in disguise. Almost all modern toilet components are more efficient than their previous counterparts. The new flush systems use less water which, in addition to being cost effective, is environment friendly as well. If you have the opportunity to replace your fixture with a more efficient one, you may want to consider replacing it over repairing it. Some electrical toilet appliances use less electricity than their previous versions and are often times more efficient as well, so not only do you save on your water bill, but also on your electric bill. However, there are still some fixtures in your bathroom (i.e hand showers) where a replacement may have little or no impact on its efficiency. A good factor to consider when determining whether to repair or replace your fixture is how often you actually use that fixture. If it’s a hand shower that usually gathers dust or a faucet that you don’t turn on all that often, you may consider whether it is worthwhile to keep at all. Sometimes we install fixtures that we never use at home and if one of these is not working properly, you can ask your plumber to get rid of it or replace it with something you actually need and will use. Of course it’s not as simple as replacing one toilet fixture for another but your plumber may give you a good idea. Even if you don’t need a new component, and your old component is still broken, you probably ought to repair it instead of changing it completely. As mentioned earlier, a broken toilet component often presents an opportunity to update your toilet with modern facilities. Your plumber could give you recommendations on the latest toilet fixtures and how much they would cost. You should do some research yourself as well, analyzing the pros and cons of purchasing a new component for your toilet. Again, new does not necessarily mean better, so it would be wise to have an open mind toward new products. Do your homework and talk with your plumber before making a final decision. Are you going for a new look for your house including the bathrooms? If so, you might find yourself in a situation where you must change the fixtures in your bathroom. If you are not satisfied by the way the fixtures in your bathroom look, then you must go for a replacement because no plumber can help you with changing the appearance of a fixture in your bathroom. The most important thing about replacing or repairing your toilet components is to know all the options. Seek expert opinion about which option would be best for you. Don’t hesitate to ask your plumber about any suspected leakages. For your toilet, it is always better to be safe rather than sorry so it usually is not wise to purchase cheap toilet fixtures. Don’t make hasty decisions about your fixtures and always consult your plumber when in doubt.